Unit Description: Custom LTA Airtorch Heavy Duty Industrial Air Heater System Model LTA750 series is an inline air heater with continuous hot air discharge of 750° C continuous use and sometimes up to 800°C intermittent use. Outlet 2″ NPT. 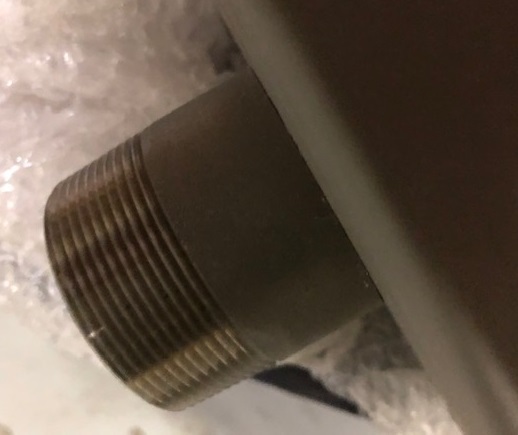 Inlet 1/2″ NPT male (see product images). Picture shown may be illustrative only. Picture shown fits 9″ Diameter (at flange) and 22″ Long envelope. Such hot air guns find applications in plastic welding, heat shrinking of thermo-plastics, ceramic drying, on-site heat treatment, plastic forming and many more. 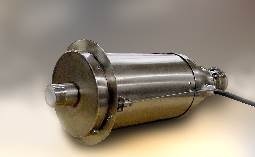 The unique steel shell construction provides for efficient heat recovery and management, which provides hi-temperature discharge at very high efficiency. This recuperating design eliminates radiant heat loss while enhancing efficiency, and maintains a cooler outer shell temperature. Note: Parts of the surface are hotter than 50°C (DO NOT TOUCH) providing greater operational safety. The Airtorch comes with an in-built Type “K” thermocouple as a standard. Please note that the LTA and MTA products require a flow meter or flow device to set the correct flow for use and to ensure minimum flow. 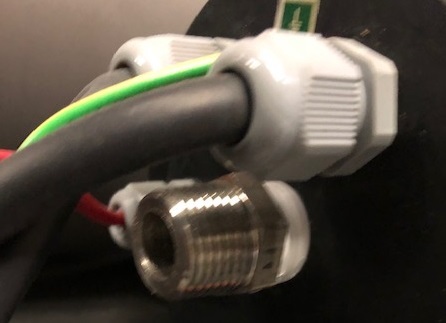 The compressed air gas source is connected to the flow meter which then regulates flow into the LTA. There is no significant pressure drop in the LTA. At no time of use should the rated KW, rated voltage, rated temperature be exceeded. Air Inlet: Compressed Air or Gas (DO NOT USE COMBUSTIBLE GASES) Air Outlet 2″ NPT fitting. Inlet 1/2″ NPT male. Temperature: 750°C continuous for best life and sometimes up to 800°C with intermittent use. Voltage: 220/230/240VAC Frequency: 50/60 HZ. Picture shown above is the approximate unit. Fits 9″Diameter (at flange) and 22″ Long envelope. Power Control: Output temperature may be varied by changing the air flow or chaging the output power in the optional control panel. HIPAN or XPAN required. Please contact MHI. Built-in thermocouple can be linked for external display. 10 KW 500/600/700/800/900/925C Process Air Generator.